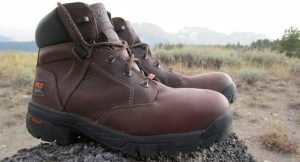 Buying new boots can always be daunting and this is, even more, the case when looking for quality safety-toe work boots. 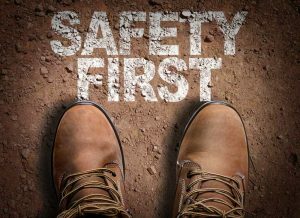 The right safety-toe work boots can make all the difference and if you understand the basic differences between the steel toe and composite toe boots, you will be able to make this decision with relative ease and ensure that you get exactly what you pay for. We have decided to look at the fundamental differences of these boots and what sets them apart from one another. We have done all the legwork in terms of testing, to ensure that you know which one is better and which benefits each of them will offer you. Before the invention of the comp toe boot, the steel toe was the all time favorite and many people still stick to the habit of relying on them. The steel toe boot is not the lightest boot on the market, but the flat design gives you somewhat more space on the inside and still offers great support and protection. One of the oldest myths that were actually debunked was the fact that steel toe boots can actually cut off your toes, but tests only proved that the boots may get in a few dents when an enormous object does tumble out of place and happens to touch your feet. The steel toe boots are also abrasion resistant and this is thanks to the flatter design. They offer some additional toe space to ensure adequate safety. 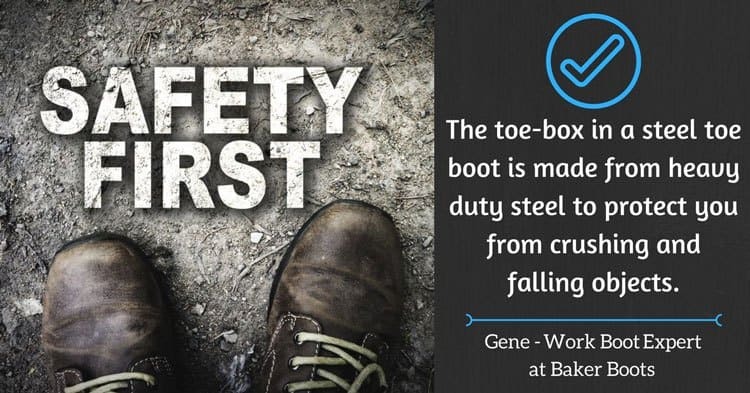 The steel toe work boot is also shatter-resistant and this means that if you are working in an extremely hazardous environment, the steel toe boot will dent rather than shatter. This does offer some additional safety to your feet and will keep your toes protected from the tough working conditions that you might find yourself. These boots do have a few drawbacks when compared to the comp toe boots and while they might seem like the safer option, they are also the heavier to wear and this might be something many of you despise. 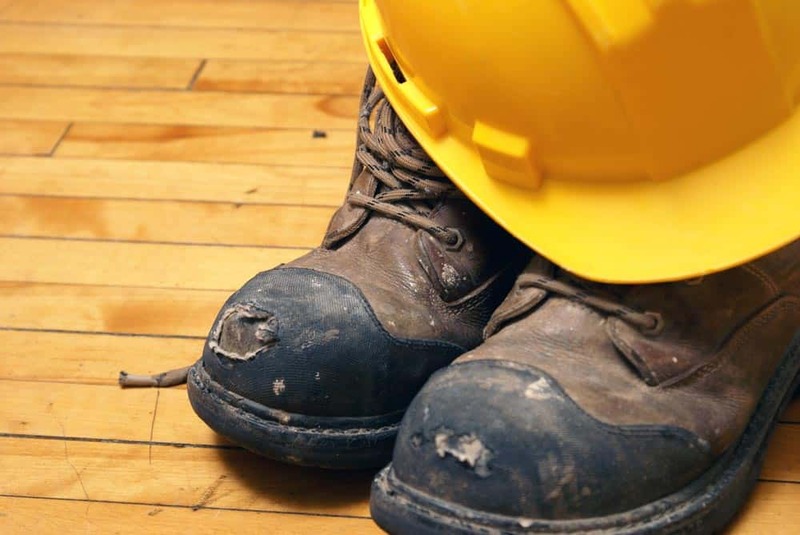 The steel toe boots tend to lack the electrical hazard safety feature and unfortunately, steel is a great conductor of electricity. This does limit the environment that you will have to work in somewhat and you might need to upgrade. The biggest reason people generally choose the steel toe boot is the price. It might be heavier, but with a cheaper construction method, it is a great option for beginners working in extremely hazardous environments. The steel toe boot is great for the working class individual and will be a perfect option for miners and construction workers. The designs are a little bulkier and harder to work with if you have smaller feet. The composite toe is quite new on the market and not as widely recognized for safety as the steel toe. There are many myths surrounding the composite toe, but essentially, it is one of the lighter boots that you could choose. The composite toe might fit a little snugger and rumors of shattering have been dispelled to give you more peace of mind and allow you to enjoy them. The weight is definitely one of the main benefits of this boots. Since the comp toe is made up of hardened plastic a little bit of rubber, it does not carry the immense weight you would expect to find in the steel toe versions. The comp toe also limits the space on the inside and this will not be as beneficial to those with flat feet. 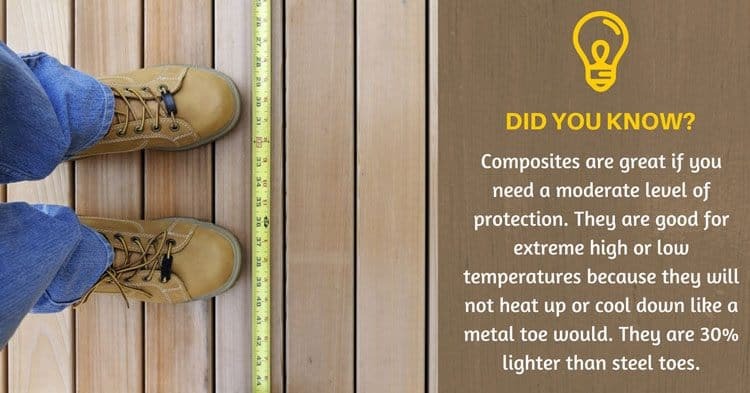 The composite toe does not have any metal in the construction, which also means that it is much more resistant to electrical hazards and you should be able to wear them in virtually any environment. They offer much more insulation against cold weather and they do not set off metal detectors when you might need to pass through for work purposes. The composite toe is the lighter version and will have some reduced effects on your overall fatigue, but it does cost a little more. Carbon fiber is one of the main reasons for this price spike and it is also one of the best safety hazard materials that you could have in your boot. When combined with a durable rubber outer sole, the comp toe boot is one of the safest and most durable safety boots on the market today. The only real problem we have found with the comp toe is the lack of puncture protection. Since steel is naturally solid, there will not be any way for a sharp object to penetrate, but with enough force and the perfect angle, a sharp object might be inclined to pierce the composite toe and this could lead to severe damage. The chances for this are quite slim, but it is worth keeping in mind if you work in extremely volatile environments. Saying that one is better than the other will definitely be a mistake and they both have a fair place to be used for the right job. The steel toe is the heavier and cheaper option and we would recommend it to those working in construction or in mining areas. It will still cause some fatigue, but if you are lucky enough to take the occasional break, you will definitely enjoy them. The composite toe boot is a little more expensive, but definitely the best option if you have the funds and can afford to buy it. The safety features are immense and since they have a reduced weight, you will be saving some energy. These boots are also electrical resistant and they offer you some additional versatility in your job. If we should pick the best option, we would go with the composite toe boot. It offers great versatility and can be used in virtually any environment. The added insulation also makes it perfect for colder temperatures and should help you on the ice or in the cold watery swamps. 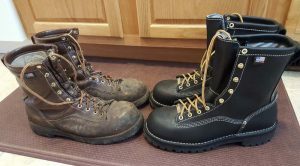 Finally, we would like to thank you for reading this article and we certainly do hope that you have found the ideal boots to meet your needs. We would like you to let us know in the comment section below if you have any experience with these boots and if you do, please let us know which ones you would choose. Also, be sure to inform us of any specific brand that you would recommend and like us to review.